If you’ve heard me speak over the past few years, I’ve often given an example of where I believe the distribution of recorded music is headed. 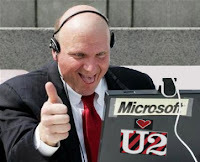 U2 has a new album due out in 2009. I know the economics of the record business and my estimate is that U2 may make $10 Million on the release of their next album. And that is generous. Figuring they have one of the old-school deals where they get a bunch of money every time they deliver an album, it is worth on the high end $10 Million. 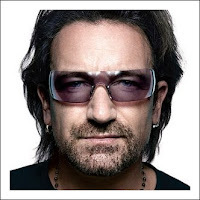 Larry Mullen, Jr. and Adam Clayton will each stare at each other and in unison say, “Yea Bono, it is a no-brainer. And there you have it. The new model is created. If you grew up in the 70’s and 80’s this idea sounds repulsive. But if you were born after 1990, this won’t even phase you. And 10 years from now when the next Jonas Brothers or Miley Cyrus release their album with a hair care product, this will be common place. Look, the CD is dying a quick death and digital sales are a temporary solution. The artist needs to get paid for their music, right? Brands need to expose their product to an audience and utilizing a core touch point makes sense. This is coming. I promise. Right now the only way you can buy the AC/DC album is to go to Walmart. The only way to get Guns N Roses new album is at Best Buy. This is the start of my prediction. First there is the exclusive retailer. Next comes the exclusive product tie-in. Only seem to work at Wal-Mart. You can rail on and on about the economy, but if that were a factor, how come the AC/DC album sold 90,000 to Guns N’ Roses 257,000? Even though “Black Ice” has already been in the marketplace for six weeks? As for Christina Aguilera, last week, her second, she sold fewer than half her first week total, for an anemic cume of 104,000. In other words, Best Buy and Target are not Wal-Mart. And Wal-Mart is shrinking its floorspace and its two biggest winners, the Eagles and AC/DC, were beneficiaries of incredible positioning, and in the case of the Eagles, incredible pricing. I hope Irving got big checks from Best Buy and Target. Because he ended up with anemic sales. I think we’re about done with this exclusive retailer gambit. I think we’re going straight to sponsored music. Or should be. Sure, the newspapers are in terrible shape, but there’s got to be a major corporation that’s willing to give away free CDs/music for the foot traffic/eyeballs. “Chinese Democracy” should have been given away at GM dealerships. Or even Toyota, that company’s sales were off by a third in November. Corporations have the money, musicians have the goods. There would be a stampede to the outlet if the music was free. And, with the new music in so many hands, touring revenue would shoot up. Assuming the album were good. With all the Britney hype, why didn’t she make a deal with a mental health company? Everybody comes in for a free screening! Or a consortium of plastic surgeons. You come in for a Britney CD and get a free consultation. It’s come to this. The big boxes, that put the indie retailers out of business, other than Wal-Mart, can’t move the product anymore. The iTunes Store sells a fraction of the physical product, because consumers are allowed to pick and choose exactly what they want and only buy singles. You’ve got to sell everybody a bucket of tracks for a low price to meet your numbers. Oops, that was the Napster model, from almost a DECADE AGO! Congratulations major labels… You’ve marginalized yourselves! Wanting everybody to pay for music, suddenly few are. And all the money is on the road. And why should an act give you a share of its road money, you’re not agents, you don’t know how to do it, you only want to skim the cream from the top. Or try to get the act on terrestrial radio and television, neither of which move tonnage like the old days. So, do you want the money or the career? Turns out taking the money isn’t so great for your career. Axl Rose is gonna have the stink of the failure of “Chinese Democracy” on his back forevermore. His only option will be to reunite with the old gang and play the twenty year old material. Hell, no one’s really interested in the new music of old acts. So, either sell your records and get out…on the road, like Neil Diamond… Or figure out a way not to move the product so much as get it exposed, get people to actually hear it. So they listen intently and applaud when you play these newly-minted numbers live, as opposed to going to the bathroom.